← A Little Late for Pumpkins? Combine 3 cups sugar, 4 cups water in a large pot and bring to a boil. Slice the lemons as thin as possible. Add them to the syrup and cook at low simmer for 15 minutes. Remove from the heat, let rest for 10 minutes, then strain the lemon slices. Discard syrup. Process biscotti to fine crumbs in food processor, then add sugar, and melted butter. Mix until incorporated. Bake until golden brown, 12-15 minutes. Let cool. 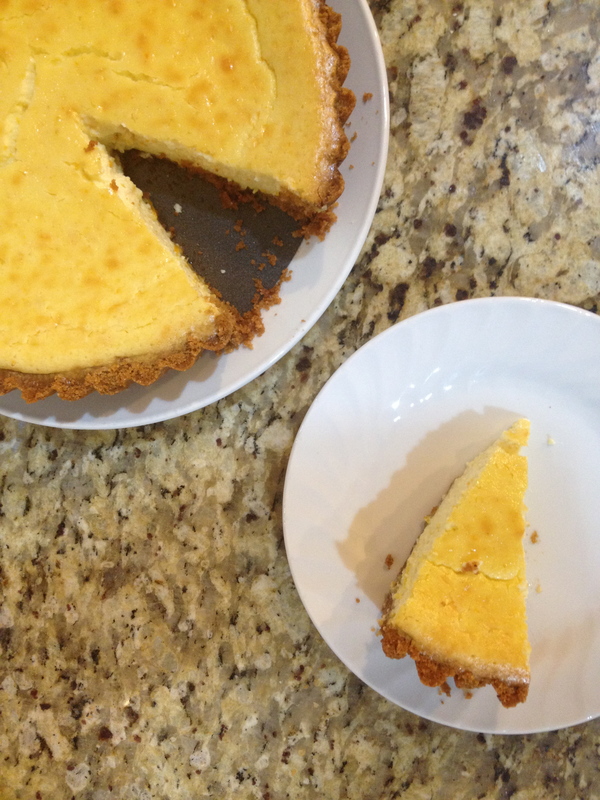 Fill cooled crust with cheesecake mixture and bake for 20-25 minutes. An inserted knife should come out clean.